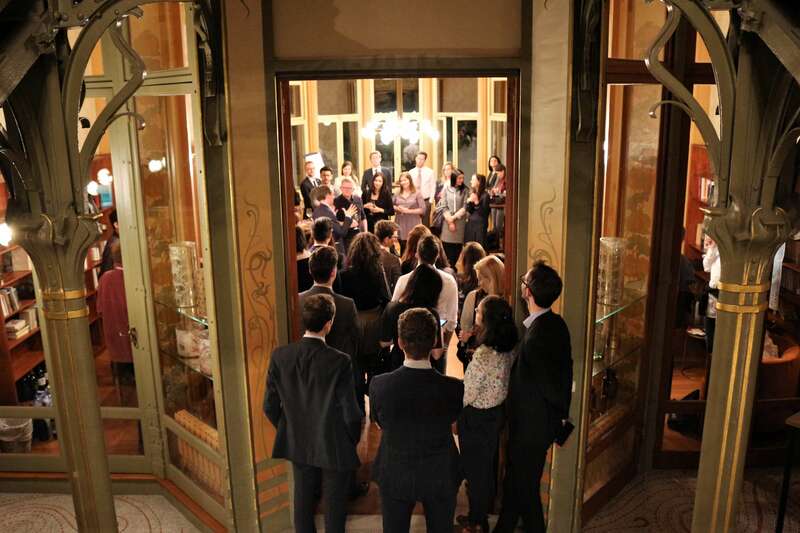 On 22 November, the Bubbling Up team held its second event at NOVE’s offices in the Hôtel Tassel. Following on from our first event, held in May and on the topic of fake news, the theme of the evening was trade – who we trade with, what we trade with them, and how trade policy is developed in the EU. The event was well attended by a broad cross-section of young, Brussels-based professionals. The Bubbling Up team was pleased to see participants from the public and private sector, as well as from inside and outside of the “EU Bubble”. The room buzzed with all things trade-related, as attendees enjoyed a glass of wine and a bite to eat. As usual, the team prepared some interactive games related to the theme, with participants for example casting their votes as to who is the most important EU trade partner for avocados, as well as attempting to separate truth from fiction on our “fact or fake” cards. This edition featured mini-interviews with young professionals in the trade policy field. Kinga Malinowska (European Commission Spokesperson Service) gave us some insight into her role in sharing the news of trade policy with European media, while Robin Huguenot-Noël (European Policy Centre) spoke about life in the think-tank world. Francesco Cerutti (Office of MEP Alessia Mosca) offered some interesting perspectives on the work of the European Parliament on trade. The Bubbling Up team would like to thank speakers and participants for making this event such a success. With so much going on in the Brussels bubble, we are already brainstorming our next event – watch this space! Bubbling Up is a coming-together of young professionals in public policy who gather to exchange ideas and opinions on topical issues of the day. Bubbling Up’s regular events are based on the idea that it is not in the conference hall that our minds are made up, but at the bar or the buffet table – in conversation with our peers.